Apples are everywhere in the autumn. They are falling off the trees and showing up at stands along the road. 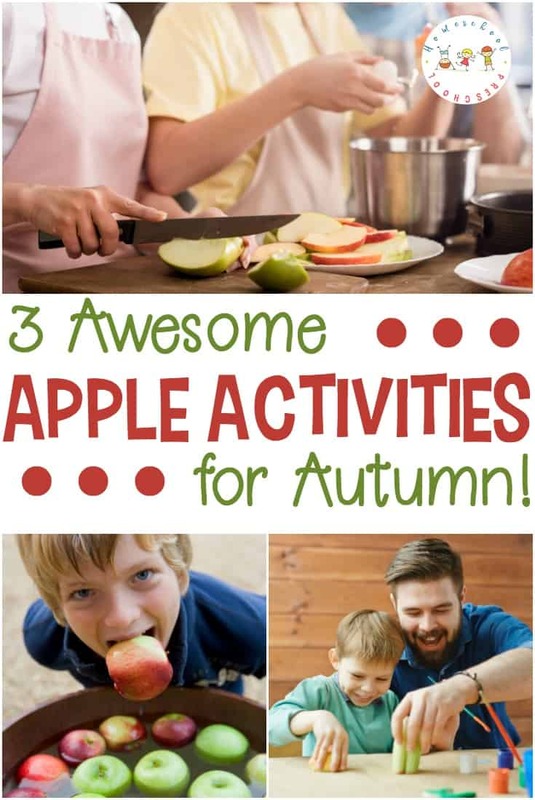 It’s the perfect time to enjoy these three awesome apple activities with your preschooler. They’re a great addition to your apples preschool theme this fall. 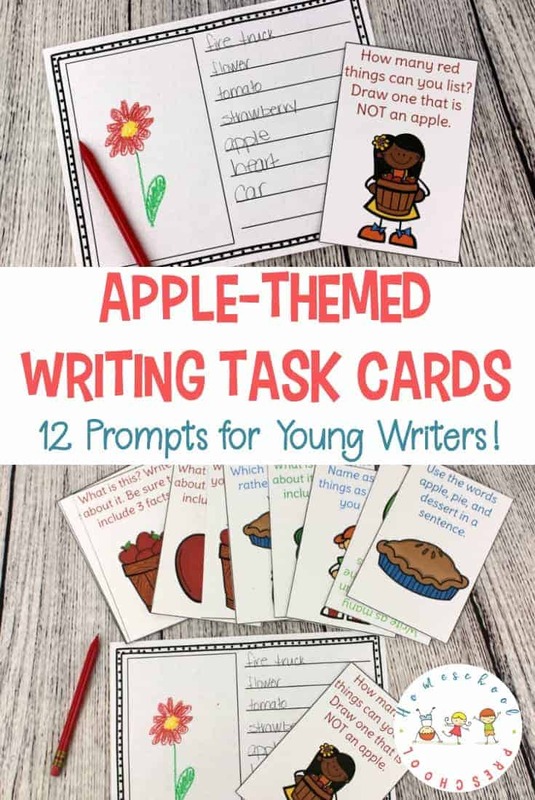 Add these activities to your apple-themed homeschool preschool lessons or incorporate them into your autumn family time activities. Either way, these activities will help you make fun autumn memories with your kids. Preschoolers adore baking and rolling dough flat. Combine the two into an apple pie and you have an afternoon activity your kids will adore. I actually recommend you make a day of it. In the morning head outdoors and find some apples to pick. 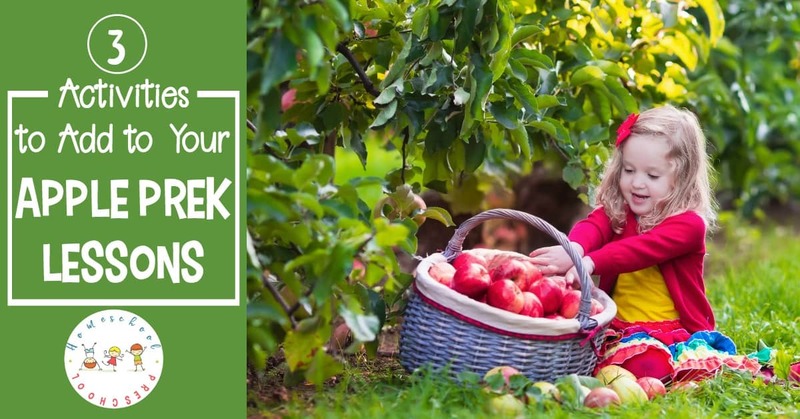 Perhaps a friend has a tree or there’s a U-Pick farm nearby where your child can have the glorious fun of picking apples off the tree. If not, head by the store to find some delicious apples to use in your pie. When you have the apples, start making the pie. Next, let your child roll out the dough while you prepare the apples. While you wait for the apple pie to cook, enjoy reading a book about apples together. Bobbing for apples is a delightful fall party idea. It’s also great fun to try with your preschoolers. Fill a large bowl with water and toss in a few apples to float. The goal is to pull the apples out of the bowl with your mouth. Not all preschoolers are going to be able to grab the apples with their mouths or be willing to dunk their heads in the water. Don’t worry if this is your child. Instead of bobbing for apples, simply fish for apples using a slotted spoon. Hand a slotted spoon to your child, and encourage your kid to fish the apple out of the bowl using just the spoon. Once the apple is in hand, use it to create apple stamps! Apple stamps are an easy and delightful way to make autumn focused cards to send to family and friends. First you chop the apple in half lengthwise. Next dip the apple slice in paint, and stamp it onto construction paper. 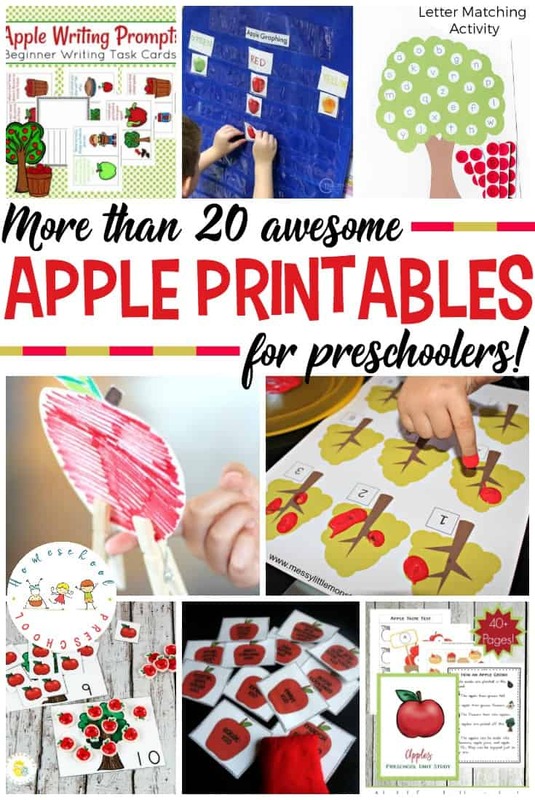 Preschoolers can make beautiful cards although you may wish to fold the construction paper before your preschooler stamps the apples. Use a different apple half for each color. With a bit of planning and stamping, you can easily make enough cards to invite friends for a birthday party or an autumn party. 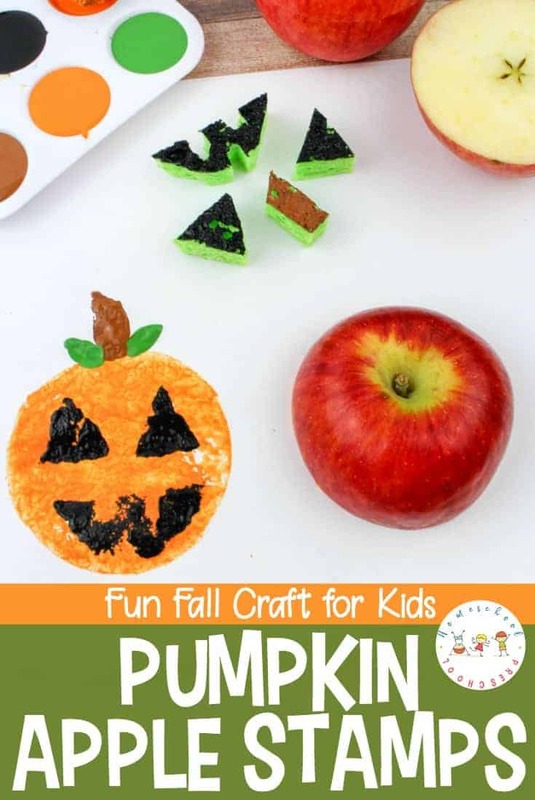 Apples activities are a wonderful way to celebrate autumn with your preschoolers. You can make apple pie, bob for apples, and create beautiful cards to send to family and friends. What activities do you add to your preschool apples theme? Sara Dennis is a homeschooling mother of 6 children ages 7 through 21. After much research into homeschooling in 2000, she and her husband fell in love with classical education and used it as the foundation for their homeschool.Sara Dennis blogs at Classically Homeschooling.